There is really nothing that will make your skin glow and erase wrinkles the way that laser resurfacing can. Celebrities like Jennifer Aniston and Chelsea Handler have raved about the results they have obtained from laser treatments. I have had patients tell me that they are often told they look 10-20 years younger! I have seen the results myself and despite performing laser surgery regularly, am still blown away by how truly awesome the results from can be. 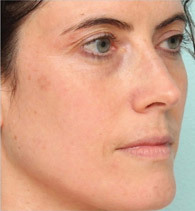 Treatment: BBL/IPL, full face resurfacing, and profractional to the neck. In my practice, I usually do a combination laser treatment of BBL/ IPL and either a deep resurfacing or a Profractional treatment. This combination takes a bit more time, but the results are so worth it. The patient’s skin is brighter and shinier. The red spots and broken blood vessels often disappear. The brown spots can vanish. The fine lines can be erased. The deeper lines are softened. The skin tightens. In my opinion, there is nothing that we do in plastic surgery that has such amazing benefit for the cost. That is not to say there aren’t things you need to know before jumping on the bandwagon to the fountain of youth that so many celebrities already have. The treatment is done either awake or asleep. It is up to each patient to decide if they want to be awake or asleep for the Profractional treatment or for a superficial resurfacing procedure. Topical cream is applied for about 45 minutes ahead of time, which numbs the skin. We usually give the patient some Tylenol, Advil and a medicine to limit swelling. Some patients may opt for medications to relax them. For most people, this is all that is needed. For deeper laser treatments, some tiny injections can be done around nerves to get more complete numbing. 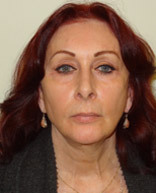 For really deep laser resurfacing, the most comfortable way is with sedation. Depending on the type of treatment you select, I will help you choose the best option for you. The procedure takes about an hour. For the BBL/ IPL component, there is a bright light that you will see even if you have your eye protectors on. It can feel like an elastic band to some people. 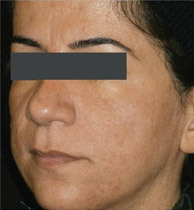 Depending on the type of spots or vessels we are treating, we may treat the whole face just once, but often we do it twice to take advantage of different laser wavelengths. 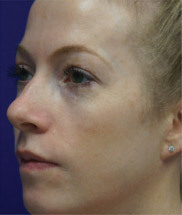 Following this, we do the resurfacing laser treatment. Most people don’t feel anything other than warmth. It is slower and we usually go over the whole face twice to get the best results. After your treatment, you will have some gel placed on your skin to keep it moist and cool, such as Aquaphor. You can also use some ice packs as your face will feel quite warm. This warmth may last a day or so. After that, the only discomfort is some sensitivity when you wash your face for the next couple of days. Keeping the Aquaphor on the skin will make this feel much better. At that point it’s really just feeling a bit goopy with the Aquaphor until your skin is healed on approximately day 3-7 depending on the treatment you choose. What will I look like right after the procedure? 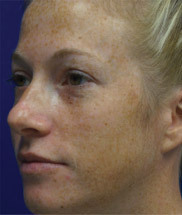 Right after laser resurfacing you will be quite red, and will have some gel on your skin. You may have some areas of pinpoint bleeding. I am not one to sugar coat things… in a nutshell you look pretty rough. However, it does not last long. The next day you will start to cleanse your face twice a day very gently. This will leave you looking red, like you have a sunburn. During those next couple days things will heal extremely fast. You will see healing changes, even between morning and evening! Your skin may be a bit dry and flaky. You may choose to be totally healed by 3 days or opt for a deeper resurfacing, where it takes 6-7 days for the skin to heal. In the deeper resurfacing, after the 6-7 days of healing the skin may be a bit pink for a few more weeks, but you can cover this with makeup. What do I have to do to prepare for laser surgery? Given that you will not look your best for a couple days, I would suggest getting organized ahead of time. Doing your groceries and running errands is a good plan. You will need some medications that I will prescribe have you start the night before. They are to prevent infection. You should also have some Aquaphor and a gentle skin cleanser. If you have any questions, my aesthetician is always happy to go over things with you. Most people don’t need anything more than Tylenol or Advil after. If you get a deep resurfacing, a prescription analgesic can be given, but may not be required for more than a day or so. Get a throw away pillow case or a dark towel to put over your pillow, as you will have Aquaphor on you skin for a few days. There is no point getting it all over the fine linen! Some people enjoy having a fan blowing on their skin the first day or so. You can also get some gel packs to put in the freezer to help cool your skin that first night. How long you will be off is really up to you. I adjust the setting of the treatment to give you the best possible treatment for the time you have available. Obviously, the more time you have for recovery, the more significant a treatment you can have. 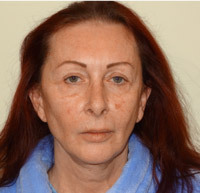 Most people opt for either a 4-day Profractional treatment, or go all-in and have the deep resurfacing. For the deeper treatment, you will be able to apply make-up to cover the pink skin around day 7, but may have a little dryness and flaky skin. Is there anything I need to avoid? Sun! Before BBL/ IPL you should avoid the sun for at least 4 weeks. You don’t want any tan before this, as the laser cannot distinguish brown patches we want to remove from the brown in your tan. You get a much more even result without a tan. You also want to avoid sun afterwards because the laser will make you more sensitive for a month or two. 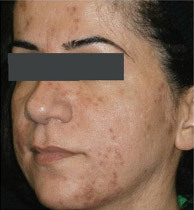 I have a doctor friend that had this treatment who says she never wants to go in the sun again after having seen how much better her skin looks now that we removed the sun damage. In general, it is good advice to limit sun exposure to prevent skin aging and preserve the benefit of the laser treatment. It is an amazing procedure. Even a lighter treatment makes a significant difference. 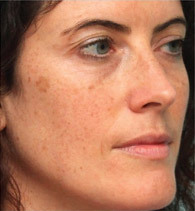 A full-resurfacing can remove a decade or more of aging changes in some people. With that being said, it is as close as we have but it is still not a magic wand. If you are interested in learning more about any of these procedures, or having a private consultation please click here or telephone 905-849-4282..
Dr Rodger Shortt is a plastic surgeon in Oakville, Ontario. He strives to provide the best plastic surgery results and is one of only a few plastic surgeons in Canada with the best rating of 5 stars on RateMD, RealSelf and Ontario Doctor Review. Dr Rodger Shortt is a specialist plastic surgeon who graduated from Queen’s Medical School in 2004 and became certified by the Royal College of Physicians and Surgeons of Canada in 2009. He received further sub-specialty fellowship training with international plastic surgeons in micro-vascular breast reconstruction, cosmetic plastic surgery, and body contouring after bariatric (gastric banding) surgery, significant weight loss or post-pregnancy. He is the Director of Cosmetic Surgery Training at McMaster University and an Assistant Clinical Professor. 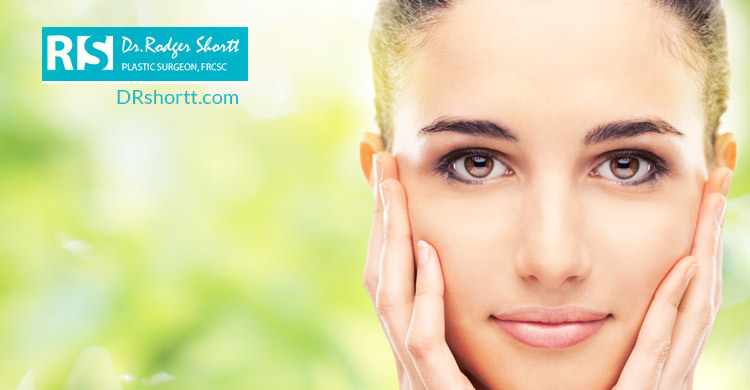 If you are interested in a consultation with Dr Shortt please contact as at 905-849-4282 or visit www.drshortt.com.